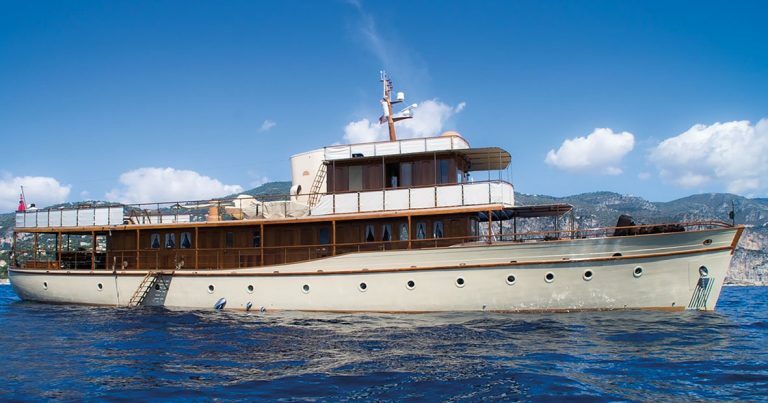 Over the Rainbow is a 35 meter Luxury Yacht Charter built in 1930 with a capacity for 6 guests and a 5-man yacht crew. It has a cruising speed of 10 knots but can reach top speeds of 13 knots. It also has a beautiful exterior designed by Luc Bouvet and Jean-Michel Folon. This makes this antique Yacht ideal for lovely intimate sailing. 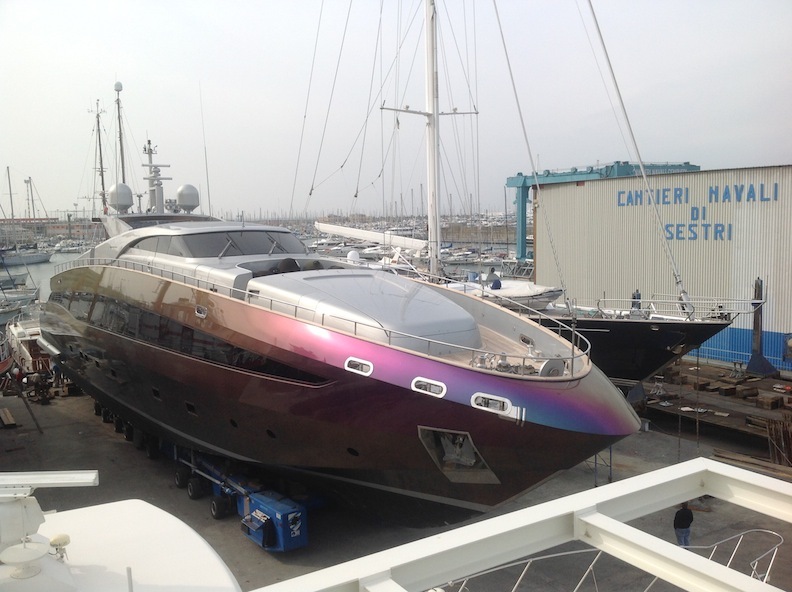 Cantieri Sestri Shipyard received the commission to refit the “over the rainbow” yacht and make it ready to sail again. As one of the top Italian shipyards and experts in all aspects of superyacht refitting, we provided a completed job . Protecting the exteriors and the teak surface. Clean and checkig the engines to ensure they are in good shape. For the first task, we used a special coating from Awlgrip. This coating was designed to be more resistant and tougher than the regular component. Therefore, it offered the Yacht better protection against the sun and the salty seas. Next, attention was turned to the on-board equipment This has been kept updated over the years, however, one important thing we did, has been upgrading the communication signal at wider latitude by installing the new multi-panel antenna. The twin 60 year old Gardners 230 hp engine was in great shape. However, we carried out a comprehensive routine check. This was simply to ensure that everything was in good shape. The next challenge was how to move the boat to its new abode. A major consideration was the risk of damaging its cladding while loading it on the ship. To avoid this, two brackets were designed and attached to the hull of the boat. This was done while boat was still in the water. With these brackets attached, they held the boat securely as it was lifted with a crane. Italy is one of the best places to find the top shipyard for yachting refitting, repair, and building service for a megayacht and vessels. Depending on who you ask and what you classify as a mega yacht, you will be told that there are between 5000 and over 10, 000 mega yachts in use today. The lower number represents megayachts that are over 35 meters in length while the higher number (10, 000) expands to cover those that have a minimum length of 24 meters. According to the association of maritime agents, the presence of large pleasure mega yacht in Italy’s marinas will grow by 10% and Genoa, In particularly by 2018 will be the area with the world fleet of megayachts building rate, growing up to 5,186 vessels built. Whichever the case, the arrow swings in a particular direction when the best shipyard builders, refitters and repairers of large and luxurious yachts are needed, Italian shipyards have proven over the past years that they truly possess the skill, resources, technology, and experience to consistently blaze the trail for the rest of the world to follow when it comes to all issues pertaining to mega yachts. Based on the last research by Midtelegraph, MegaYacht refitting and Yacht repair are increasingly in the hands of Italian shipyards. 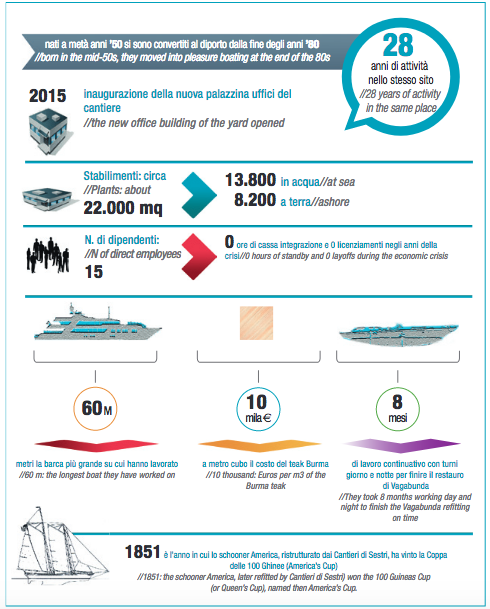 Since 2017, the Italian shipyards handle 31% of the entire Mega Yacht building request. Cantieri Navali di Sestri, Genova Italian Shipyard, is one of the top Italian shipyards where you can have a megayacht built, repair and refit at the highest standards in terms of quality, timing, and technology. 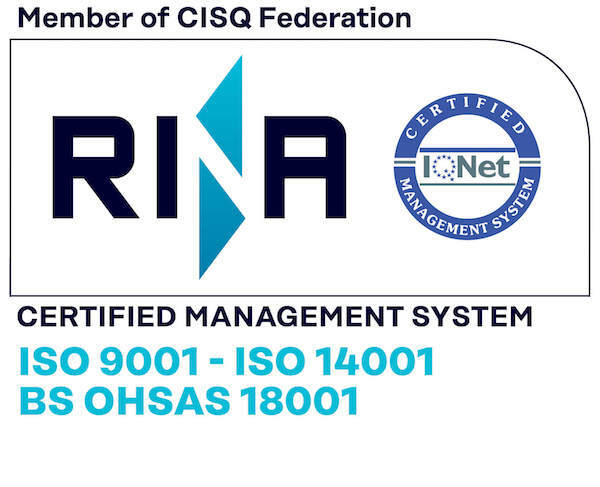 including the: ISO 9001: 2015, ISO 14001: 2015, BS OHSAS 18001: 2007, and the International RINA Certification for quality and compliance which tells you that you can be sure that your yacht will receive the best service and treatment. 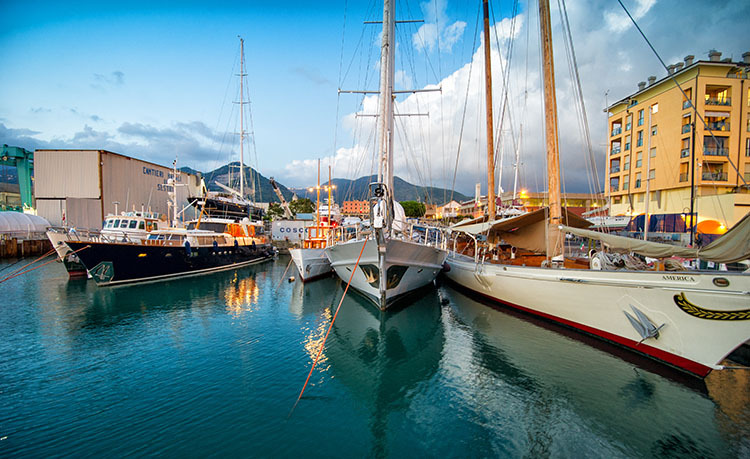 One area in which the Cantieri Navali di Sestri shipyard really excels compared all the rest is in the area of woodworks and antique and vintage Yachts, as well as fabrication with aluminum and steel. Photo: Cantieri Navali di Sestri, Genoa, Italy – SeaHome Yacht 1905 Vintage Yacht full Interior repair. 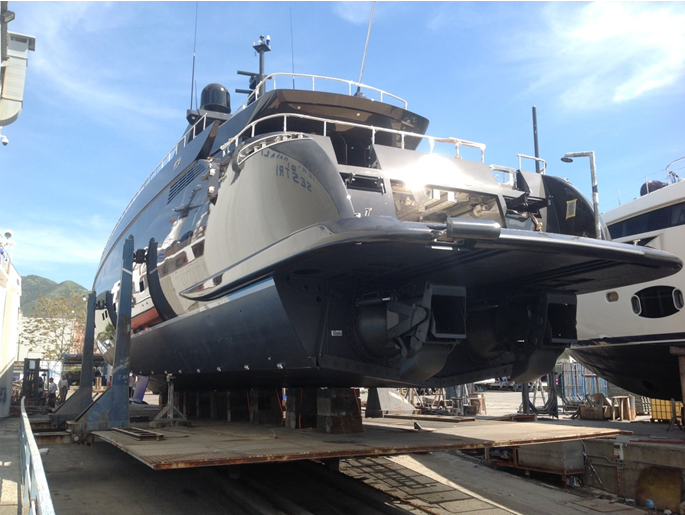 The company has an extensive and glorious boat refitting portfolio, allowing its modern yard and prepared teams, to ensure quality shipyard services in line with briefs, schedules, and client budget. Large Sailboat and superyacht building projects are keys services and elements of the Cantieri Sestri’s brand. With over 22.000 mp Plants area, 13.800 MQ at Sea and 8.200 MQ ashore. High Technology, professionality and 30 years of experience allows Cantieri Sestri to deliver top-notch shipyard service, including planning, refitting, building, repairing, consulting for mega yachts up to 60 meters, with long work project up to 8 months working to complete an entire yacht refitting. Cantieri Sestri Shipyard takes care of client request adopting the latest shipyard technologies, with their top quality craftsmen and passion for yachting. We already know that Italian shipyards are some of the best in the world. However, some of the most common service refit and yacht requests received during the last years are mechanical, electrical, structural, including yacht interior design, high complex refitting projects, and a complete megayacht building based on all that don’t just go for an Italian shipyard go for Cantieri Navali di Sestri and you can be fully confident that your work is in good hands. At Cantieri Sestri Shipyard, you can get the most detailed, custom designed boat interior restoration and yacht refit in the whole of Europe. Cantieri Sestri has the expertise to handle all kinds of yacht interior restoration. 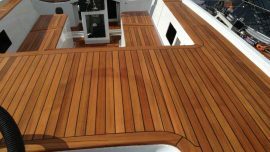 If it is yacht woodwork restoration you require or just yacht varnish restoration, you can be sure that these will be delivered to the best of quality. 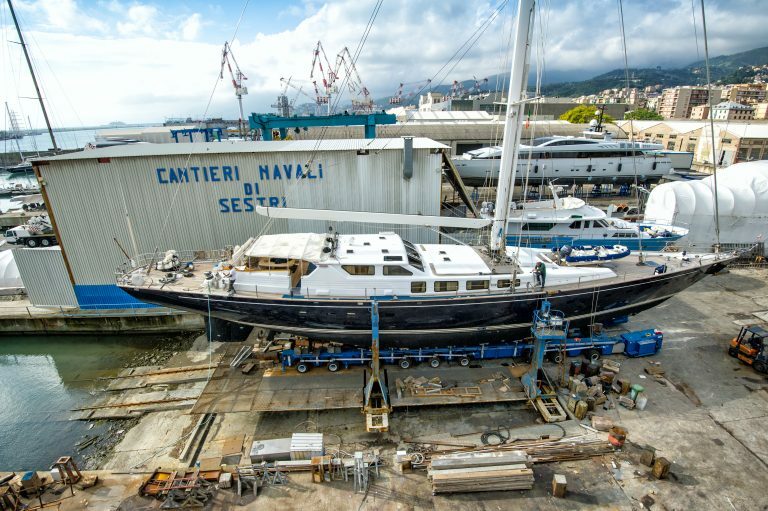 Cantieri Sestri Shipyard is well suited for these tasks because it has acquired over 20 years’ worth of experience in the conservation and restoration of modern and antique yachts and sailing boats. 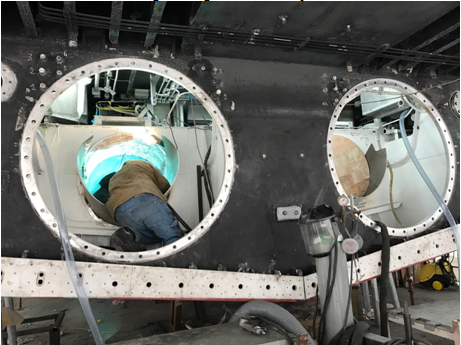 Aside from this, both boat interior restoration and yacht refitting services involve an advanced and expert staff specialized on each area of services. Cantieri Sestri Shipyard takes care of any client request adopting the latest shipyard technologies, able to reduce the time delivery, the attention to details and the quality of service saving time and investment. One of the most common requests is the boat interior restorations. When it comes to yacht interior restoration, there are different directions that the project can take. This will depend on a number of factors including the type of boat being worked on. 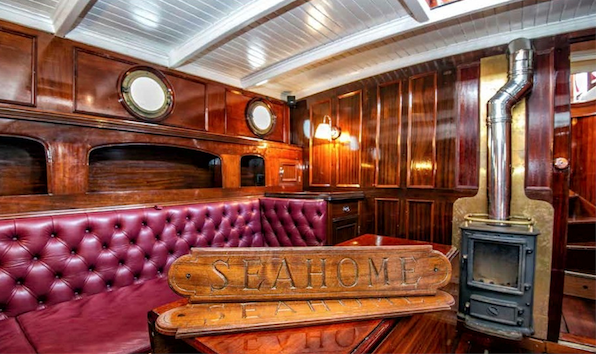 Before embarking on a boat interior restoration project, it is important that you take note of certain things. To make it easier to understand, we have broken them up into segments. To properly project the cost of an interior refitting project, you need to have a good understanding of that project and of the current state of the yacht or boat. Generally the cost vary It depends on what is the planned end-use of your boat is, the value and real boat condition prior the evaluation and restoration and from the size and full scope of work is necessary based on the level of quality you desire to achieve. For some specific works, such as strip and refinish upholstery chrome gauges plank wood replacement, trailer work, new no-soak bottom, it’s important to consider the time and the cost involved to find original hardware length and beam of your boat. Restorations can cost into the 100s of thousands of dollars for super yacht in high quality and original condition or they can be much less for a well maintained user quality boat. Knowing what is important and what is not important is very critical in any boat restoration project. The systems that make the boat run are more critical than the beauty of the exterior or interior finishing. Some folks take on projects such as these and spend tons of time on the interior and exterior finishing without giving much thought to the systems that run the boat. Many times a Surveyor will salute the beautiful exterior and interior of a boat only to look into the heart of the boat to find loads of outdated equipment. These are usually wasted efforts as the boat cannot be sold with such outdated systems. So planning to upgrade the important aspects of the boat is critical. There are certain skill sets that are necessary if one is to embark on a boat interior restoration project. While you may not need an actual boat building experience, you should at least have some good experience building things. A knowledge of engineering, building, and a good understanding of materials will come in very handy in a project such as this. You do not want to get into a project without having an idea how long it will take to get done. In a boat interior restoration project, it is important to understand that the process involves tearing down and rebuilding. You first have to remove the old and replace with the new. This means that yacht restoration repair usually take a bit longer than fresh builds. If you are in a position to choose a boat to be restored, look for one with superficial damages. Stay away from ones with fundamental system related damages. If a boat has a bad engine, bad wiring and bad plumbing, then you must be ready for a major restoration which will gulp a lot of money. To save yourself this heartache, look for one in which these fundamental systems only require repairs and not total replacement. This will save you both time and money. This is a major aspect of the final stages of the interior finishing. Despite being one of the last things to be done, you still need to consider it right from the start because this can cost quite a tidy sum. Before making a purchase, it is important that you consider the type of boat, the layers and how much painting it will require. The truth is that we at Cantieri Sestri Shipyard understand this more than most which is why we offer you our wide array of services. Contact us with your questions and we can get you started on the right footing. Visit us at cantierisestri.it to see the full complement of services we offer. There is a soul, made of passion, continuity, commitment and professionalism behind the history of Sestri Shipyards. The Sestri’s engine and mind has the name of Fulvio Montaldo, who in 28 years of activity has transformed a shipyard devoted mainly to the demolition of work boats in barrels and tugs, in an efficient, advanced and highly specialized Naval Shipyards of today’s CantieriSestri. A structure capable of working at the highest levels and with the best professionalism, both on ancient sailing ships as well as on modern motorboats or complexes of service boats. 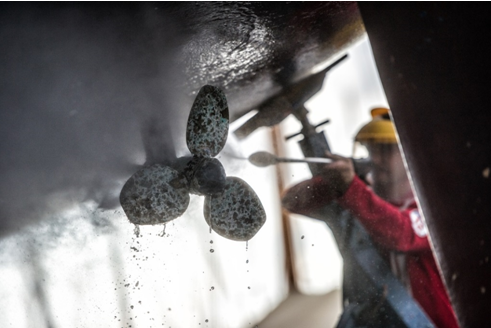 Since 1989 Montaldo, with the help of its staff, has succeeded in developing, expanding and modernizing the Shipyard. He pursued the quality by hiring and preparing more skilled craftsmen (not forgetting the fact that she was losing the long tradition of Ligurian welder and shipwrights). It has created tradition continuity, with the constant support of young people to the most experienced; connecting the yard into a top-notch network, tightening solid agreements with professional studios design, suppliers and industry leaders. The development process has also gone by a continuous enlargement and modernization of the structures. The first major innovation was the modernization of the fishing yard that allowed to move even 40 meters boats in half day, against the three of a time. Since 1995, the evolution of the self-propelled hydraulic trucks saw a progressive arrival of new vehicles, up to the latest acquisitions of 40-tons, the 300-meter modular and the 25-meter models, advancing the shipyard transformation and his ability to work on large yacht and hulls. Thanks to shipyard’s strategy to allocate every year 50% of maintenance revenue and above all to the technological upgrading of the means of work, with the goal of replacing them every five years, today, the Sestri’s Shipyard occupy an area of 22,000 square meters divided into 13,800 sea area and 8,200 land, including warehouses, workshops, car parks, offices and open spaces. The latest innovation is the Service Center building, built in the 2015, as nerve center, with accommodation, gym, meeting rooms for employees and transit crews (equipped with solar plants that support much of the energy needs). All together, permit to our shipyard to offers a complete and advanced range of services and unique facilities to our clients throughout the Liguria seaside station, that makes it one of the safest area in the entire gulf of Genoa, ensuring safety, reliability and high quality services to all ship-owners and commanders. Over the years the Montaldo’s satisfaction have come from finishing assignments on prestigious boats that have made the history of yachting. First of all, probably the shooner America, perfect replication of the 1851 winner’s of what was called the Hundred Genoa Cup, today’s America’s Cup. ( http://www.nauticareport.it/public/america1.pdf). After that Vagabunda, a wonderful Goletta, 35 meters long with furnishings, furniture and original paintings of the ‘700, whose in restoration during eight months of solid work. 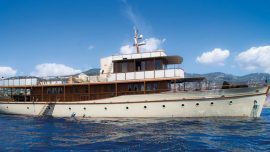 Also the beautiful Sea Home, a Swedish shuttle service from 1919, whose restoration was born in collaboration with the Milanese Architect Matteo Picchio ( www.matteopicchio.com). Many other boats have passed from here and others are still in the pipeline: With the handling of about 250 boats all year round, the Sestri ShipYard have now consolidated a strong Yacht Restoration reputation and certainty of having advanced structures, know-how and super skilled workers able to perfectly face any type of work for our clients. “The boats are made to sail, not to host parties on board.” Fulvio Montaldo, chairman of the Board of Directors of Sestri Shipyards, is always very clear and direct. This phrase seeks to emphasize a fundamental spirit of Ligurian Maritime culture, the same deep culture that characterizes all the CNS employees, who are first of all men of the sea. Perhaps that is the spirit behind the long-standing success of the CNS: passion, skill, and quality. These are the values ​that allow shipyards to look to the near future with great optimism. On this industry; There have been years of crisis. But if you know how to live with the right mindset, even a period of crisis can be exploited as an excellent opportunity for growth. This is the thought of Fulvio Montaldo who in the most difficult years has been able to maintain high quality standards without ever reducing the staff, nor taking advantage of the integration fund. Today, the shipyards continues to invest in technological innovation, especially with regard to the study and knowledge of on-board electronic systems, a real market in the increasingly demanding market and which is experiencing a continuous and faster evolution than any other sector . In addition to regular maintenance, such as replacement of parts and calibration, you need to have expertise in the study of system architecture, their positioning on board in the sedicorrette. For this reason, Sestri Shipyards also make use of partnership with the major players in the market. Competition is both national and international, in this area it is very strong. Consider, for example, that by targeting a clientele with very large boats, there are risks of unpredictability: for these carriers it is much simpler to go some ten miles further, in Turkey, Croatia or Tunisia, to keep or maintain Even just a little more favorable conditions. With smaller boats this phenomenon is, of course, much more limited. All this means having to offer always great quality at the highest technological level and able to make a difference compared to competition, a quality and passion that is at the heart of the Shipyards of Sestri. This is a widespread philosophy in the nautical environment, but a real dogma to Sestri Naval Shipyards, also because shipowners are not always sensitive to this, as a result of deceptive savings. In fact, in recent years, the nautical culture is returning, with fewer “improvised” navigators and a more imperious return of old-fashioned yachtmen, are shipowners or commanders. This also means more attention not only to ordinary maintenance, but also to all those jobs that – in fact – can give life to a boat again. The most normal preventive maintenance, but often underestimated, concerns the antiosmos treatment. The hulls are composed of layers of glass wool covered with resin: long water immersion, penetrates small amounts of water inside the resin by wetting the glass fiber that forms the classic bubbles (osmosis), of which it is practically It is impossible to get rid of, except for antifouling treatment. And being a delicate and complex work, especially during the stage of stripping and preparation, it must be done by experienced professionals and with top quality products. And the thing most shipowners underestimate is that it should be done every 12 months! 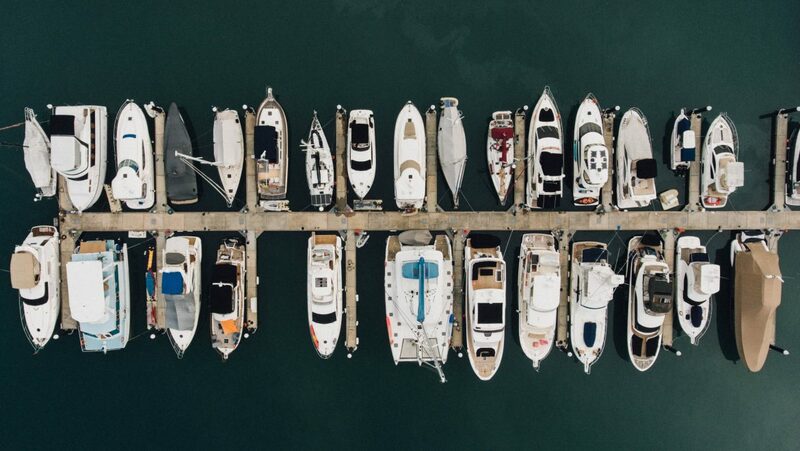 There are more complex jobs, however, considered maintenance in order to have a safe boat, such as: upgrading on board systems, as well as renewing environments. The most common cases concern, modify or customize a boat just after buying, modifying the boat (even with elongation), the blanket or the interior. Various cases where boats have suffered serious injury, accidents, fires or even surrenders. In these cases, the restoration operations are obviously more complex: but what matters is that, if entrusted to the right hands, any boat with any damage, can look or receive a second life again. 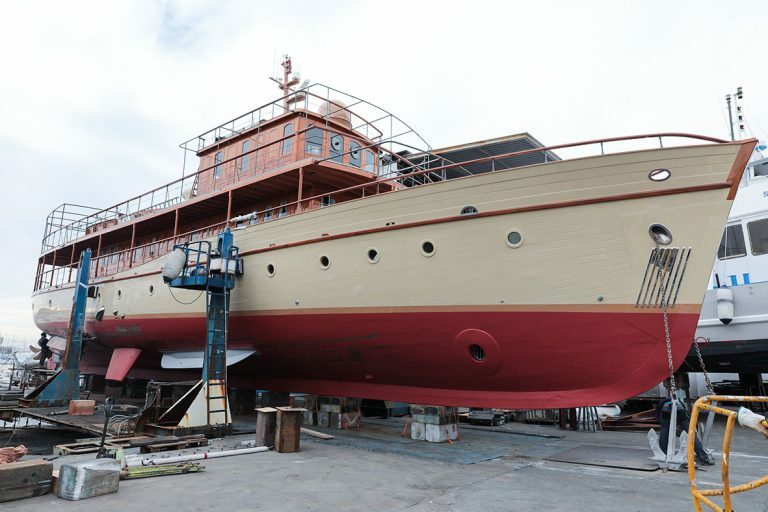 In Sestri Shipyards specialization remains on wood, steel and aluminum, but in recent years new trends have also led to specialization on carbon and kevlar. 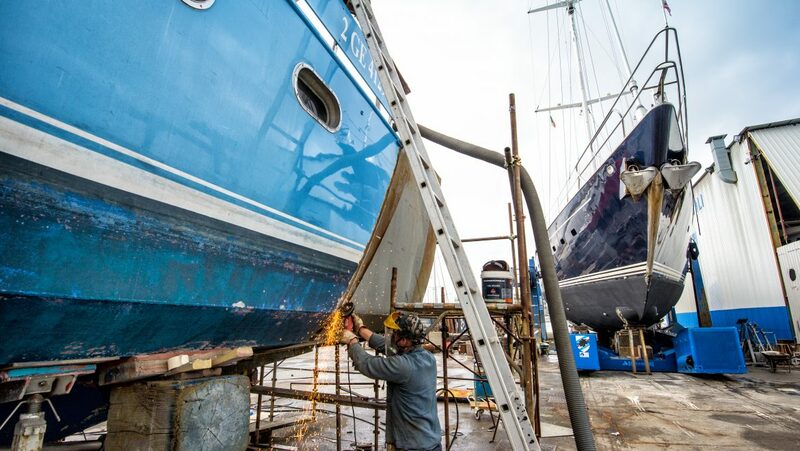 Over the years, the Sestri Shipyards are also changing the trends of refitting types: up to a few years ago, most refitting operations involved hulls ranging from 15 to 30 meters; Today it rises from 30 to 45 meters, up to 60 meters. And this is another sign of great skill and advanced ability by Fulvio Montaldo’s Sestri team.